Myers-Briggs Personality Types (MBTI) are certainly a hot internet topic. Not only are there ample sources to describe each personality type, but it isn’t difficult to find many forums, memes, blogs and Facebook pages that support its enormous following. That our personality type defines our personality. The original concept of this typing was born from the mind of Carl Jung. He was the intuitive mind that characterized people’s brains into categories. A brilliant concept that altered a lot of psychological thinking and theories of the time. Then along came Katharine Myers and Isabel Briggs. They took Jung’s concepts and catalogued them even further into the 8 letters we now see thrown about so easily which stand for Introvert, Extrovert, iNtuitive, Sensing, Thinking, Feeling, Judging, and Perceiving, which combine to make up the 16 Myers-Briggs Personality Types. Some argue that their work was genius and made Jung’s very complex ideas into an easy-to-understand psychological concept for the masses. Others say they butchered the work and simplified it to a dangerous level. It is easy to see how one could come to the conclusion that MBTI types define our personalities. After all, they are called “personality types.” But this misconception could not be further from the truth. Few would argue against the fact that we are each individuals with unique personalities which are far too complex to narrow down into categories and yet millions will swear that the description associated with their four letters fits them to a tee. Sometimes discovering one’s personality can be so accurate that it changes perspectives, opinions and even lives. So, if we truly are each a unique personality, then why are the Myers-Briggs definitions and concepts so accurate to so many? Why does it have such an enormous following? Why is it a life-altering concept? MBTI Personality Types do not define one’s personality. They describe how one’s brain works. It helps if you think of this typing as a scientific model of the mind as opposed to a description of who we are. The descriptions fit because they are all based on how we perceive the world around us, how we take in information and how we process that data. Once these elements are in place, generalizations are easily deduced that will fit the majority of people who read the description. For example, the description of an ENFP on The Personality Page states the following: “Because they are so alert and sensitive, constantly scanning their environments, ENFPs often suffer from muscle tension.” The first part of the description is based on the ENFP’s functions and how their mind takes in ample amounts of data. The second part concludes that they will suffer from muscle tension, a natural bodily response to someone who is overloaded with information. Many will study each type and function and come to their own generalizations. Some are not quite as accurate as they try to make too far of a leap from cognitive processes and may be based on personal interactions with individuals. These are often ignored and sometimes attacked for their inaccuracies. Recognize that in the creation of MBTI, no one ever claimed that an ENFP would love dogs or an ISTJ has to be fascinated with geometry. Myers did not write that ESFJs must be nurses. 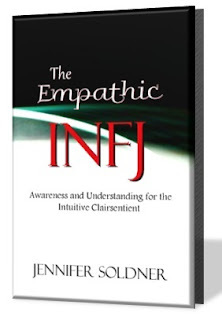 Briggs never stated that INFJs are only suited for a career in counseling. They did, however, show the differences between a Senser using sight, sound, smell, etc. and an iNtuitive recognizing abstract patterns and moods. They also show the fluidity of a Perceiver versus the structure of a Judger. They honed in on Jung’s work of the varying energy levels between Introverts and Extroverts. The four letters that make up our personality only explain how our mind processes the information we experience in the world. This, of course, plays a major role in how our personalities are individually formed, but they cannot describe exactly what our personalities are and the complex manner to which they came about. The next time you take a quick test and read your results or someone guesses your MBTI Personality Type, please don’t feel boxed in. If you meet someone who shares your type, do no expect to be instant kindred spirits or long lost soul mates or even that you will like each other at all. Please recognize that you are so much more than those four letters. Please remember that we are all unique and have very special personalities that can only be created by our genes and experiences. But definitely relish in the fact that you now know how you process information and use that brainpower to its fullest potential to grow, transform and improve your very individual personality. Love this! I think I got frustrated with 'typing' because I could never pin down a perfect personality type match for myself. I've since learned that I am an INFJ (I think, lol) but I had matured enough to be gratified by the knowledge but not fulfilled by it. Thank you for putting that into words! I have seen so many people that are feeeling bad after hearing about these tests, and discovering that they are "not unique", and even worse, the % of their type is high. Thinking they are "average", where our society pushes us to always try to be "the best". This is a great article then, because as always, taken out from the context, the information loose its true meaning. For example, INFJ's can be Gandhi right, but they also can be Hitler. Would you say they are "the same?". In a certain way, they are. They are idealists, that fought for their ideas, with strong negociating skills. But what we are, is not how we work. Its what we decide to do, it was life we had, what values do we DECIDE to be ours. So everyone cheer up, you're unique, even if you have dozens of dudes sharing your same type. The only problem, is that you may not be able to see it yourself, but undoubtly, you're unique. If you talk to people who use the MBTI, you'll find that it's more appropriate to call it a Psychological Type inventory (not personality type). The "personality" phrasing is the laymen's or colloquial phrasing. Love this. I find that I'm often the person that is trying to explain the findings of MBTI testing to people who don't feel they fit their type. I am constantly trying to explain that it is their thought process not what society has classified these things as (extrovert vs introvert). It is easy for me to see that thought process in the person I am talking to. I think I felt so connected to my type because it explained so much to me and I have always felt a bit lost, I'm INFJ. I felt like finally, I get me. My daughter is INFJ people don't understand our harmony with each other. They would constantly tell me "wait until she is a teenager". I have never had difficulty with her, and she is now 18. I have always understood her, and she is the only person that truly understands me. It makes sense though because we have the same thought process and well probably because I raised her. 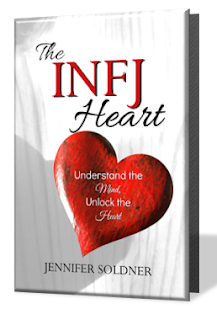 I am a bit perplexed by my sister who got that she is an INFJ too because she is so different, but her percentage rates are different (she is less of an introvert and more of a feeler), but when I focus on thought process it make a bit more sense. Just to say thank you for this blog and the information shared on it. Thanks for the great post. With all the buzz on the topic it was nice to hear this. Hello, I'm VERY new to all this (yes, I have been living under a rock! ); I have struggled with depression, anxiety, agoraphobia, social phobia etc. for as long as I can remember. I have had therapy, which helped in some ways (mostly just having someone to talk to, who seemed to actually understand me), but I'm gradually 'sinking' again. I actually said to my mum and sister, the other day, "the next time I leave this house,it will be in a pine box". (I'm only 45.) I'm not actually suicidal (it's the thought of what would happen to my sister, who has lupus, that keeps me hanging on. ), I was referring more to the agoraphobia. Not sure why I'm telling you all this.. I think probably because it's anonymous, and there's no-one else to listen.What I intended to say, was that the test I took yesterday, when I was very tired ( and my cognitive functioning is very poor these days, anyway, so some of the questions were difficult to comprehend properly ), I felt described me to a certain degree [ it said INFP ], but it's just not 'nuanced' enough. Reading this article has helped, in that I can now see it more as Psychological Typing, (as someone else pointed out) rather than Personality. IT, is almost by definition, unique – even the most identical twins have differences, after all, as would all of us if we could 'start over' with different experiences, but the same brain. Your explanation that it's how our brain's work, not 'who we are' , seems to be right, to me. Thank you.